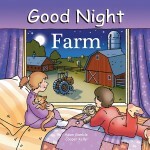 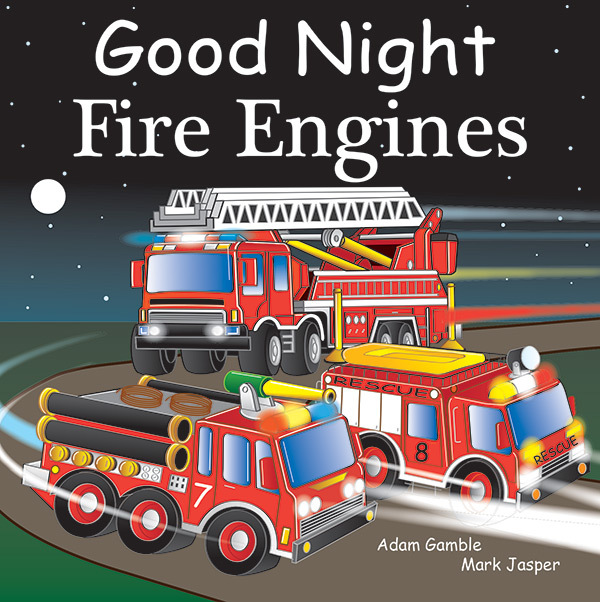 Good Night Fire Engines features firefighters, fire hats and gear, fire hoses, hydrants, firehouses, dispatch rooms, heavy rescue vehicles, antique fire engines, toy fire engines, fire poles, and so much more. 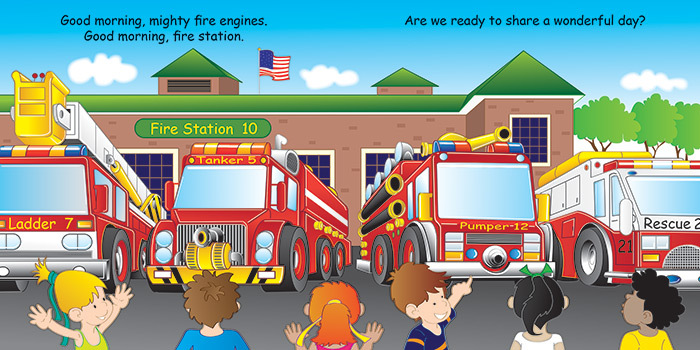 Calling all young firefighters! 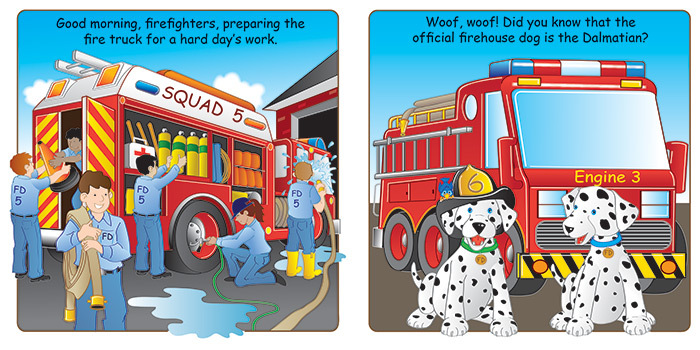 Climb aboard the hook-and-ladder truck, but don’t forget to pat the Dalmatian before you do. 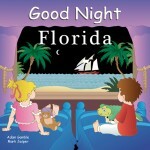 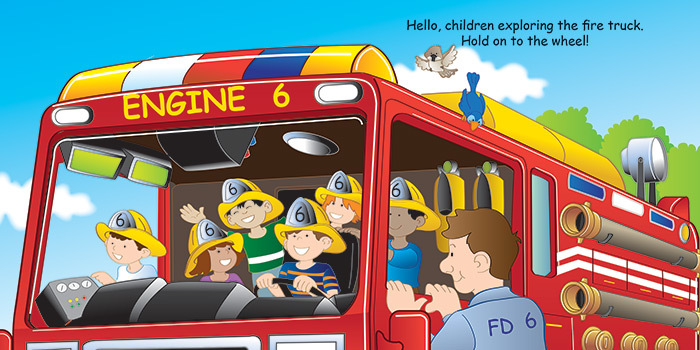 Children of all ages embark on an exciting adventure as they ride fire engines with lights flashing and sirens blazing.